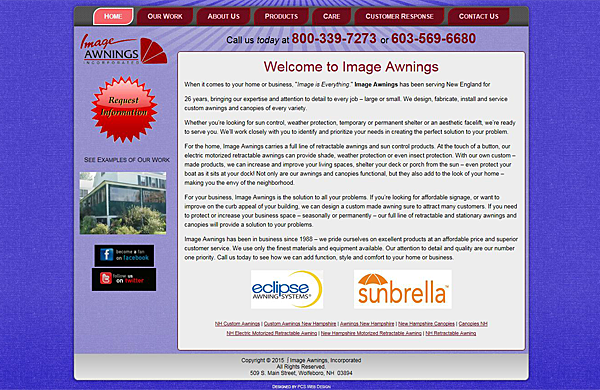 Image Awnings is a local manufacturer and installer of custom Residential and Commercial Awnings and Boat House and Dock Canopies. They've been providing their services throughout New Hampshire since 1988. 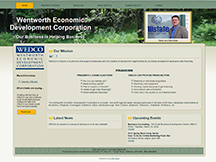 When they needed to update their website, they selected PCS Web Design for the job. PCS Web Design, as a member of the Wolfeboro Chamber of Commerce, has a fair amount of clients in the greater Wolfeboro area and Image Awnings was able to see the level of expertise and knowledge that PCS brought to the table in helping these businesses. All in all, it was a great match -- while Image Awnings has their clients covered, PCS has Image Awnings covered, too! 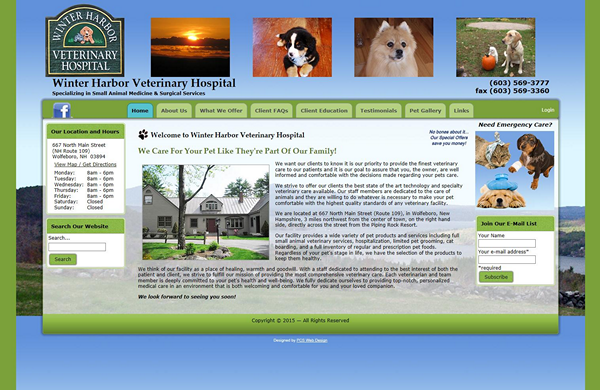 "It was a pleasure working with Dr. Wing and her staff to develop a site that gave them everything they wanted and more." states James. I wish every pet owner had the same kind of care and expertise available to them as we are fortunate to have in Dr. Wing and the caring staff at Winter Harbor. 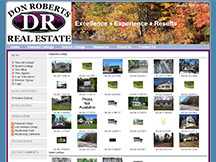 Don Roberts Real Estate had PCS Web Design develop an interim website while the business was first growing. The website was MLS-integrated to handle the growing needs of this dynamic real estate firm in the Lakes Region of NH. The site allowed property seekers to create user accounts where they could easily store their favorite searches and receive notifications when new properties matching their specific criteria were listed on the site. Contacting the agents for a listed property was made easy and simple. Other broker and agent features - all geared towards making real estate sales streamlined - were accessible through an advanced administration control panel. If you're looking for a waterfront, vacation, or second home in the Lakes Region of New Hampshire, be sure to visit http://www.DonRobertsRE.com - they are the experts when it comes to these property types. 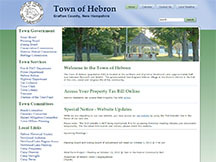 The Town of Hebron, NH has launched its new CMS-enabled website planned, designed, and hosted by PCS Web Design in concert with the Town's Executive Assistant and board of Selectmen. In addition to the Town's new website, PCS Web Design has been providing ongoing IT consulting, network configuration and management, VPN configuration, backup, and custom-built computer systems to meet the growing technology needs of this quintessential New England town. It has been a pleasure assisting the Town of Hebron to meet its growing IT needs by providing sound planning advice to ensure that their technology remains current within their capital expense and operational budgets. Simplifying day-to-day IT tasks via automation and remote support helps to stretch the Town's dollars in true New England fashion. The CMS-enabled website provides instant access to managing and adding content to the website while providing capabilities to support the organization's future growth. The new website design integrated some of their existing technology while providing new and enhanced features their prior website architecture lacked. Jim Fontaine, the owner and Internet Architect at PCS Web Design, was pleased to have been involved in the project since WEDCO's mission of helping local businesses to thrive strongly resonates with the work PCS Web Design offers its clients.